In the Antiquity and Middle Ages, warfare mostly took the form of open confrontations on a battlefield or sieges of cities or fortresses. On one hand, civilians were spared, physically separated from the battlefield. On the other hand, sieges of cities could have horrible consequences for civilians. A little like an insect that has a shell but no internal skeleton, a city’s defences were concentrated around its perimeter. Streets and buildings very rarely turned into battlefields. Once the besieging force broke through the ramparts, the whole city fell into its hands. The population was then often subjected to all kinds of violence, and sometimes enslaved or completely massacred. The effect on civilians was total war. Then in the 1930’s, a new kind of horror came to cities with the first large-scale aerial bombardments. In Europe, the bombing of Guernica, a small town in Spain’s Basque Country, caused international outrage. Yet, nearly all belligerents of World War II soon followed that example and engaged in bombing the cities of their enemies. There was the Blitz. Belligerents in the Second World War used the concept of ‘total war’ to justify bombing the enemy’s urban, industrial and commercial centres. As a result of that strategy, people living in cities became the direct target of attacks, as they had been during sieges in ancient times and the Middle Ages. This type of bombing killed a million civilians during the Second World War, for a military advantage that was uncertain at best. The Second World War also saw large battle within cities: cities themselves became battlefields, such as Stalingrad or Berlin and again. The civilian population trapped in the cities paid a heavy price. “War among the people” or “war against the people”? Today, cities are again the focal point of battles generally between State armed forces and non-State armed groups. The causes may be different but the consequences seem to be as dramatic for civilians as in the past. Indeed, in today’s asymmetric conflicts cities level the playing field. Armed groups that might have no chance of success when fighting in open country against the powerful sophisticated technology of their State enemies, may hide in the urban fabric, blending in with the city’s population. The urban jungle becomes the battleground. Buildings become bunkers, sewers become communication routes, and fighting takes place at very short range in a three-dimensional space, between buildings, between floors and between rooms. This type of violence can be seen time and again: Gaza, battles in Fallujah, now Rakka or Deir Ezzor. All signs indicate that violence in cities will continue. Moreover, in the future, as cities become more connected and dependent on new technologies, new vulnerabilities will arise, leading to fears of future cyber attacks on public transports, the electricity grid or the banking system. In Out of the Mountains: The Coming Age of the Urban Guerrilla, David Kilkullen postulates that the conflicts of the future are likely to take place increasingly within the urban jungle of cities; armed forces would do well to prepare for the growing trend for armed groups to fight in cities. These operations will take place among civilians and very often, for the civilian population, or on its behalf (to “liberate” them from political oppression, to stop an aggressor, etc.). Nowadays, according to Rupert Smith, war is waged ‘amongst the people’. Most of the time this translate into ‘war against the people’ as armies, behaving as elephants in a china store, often destroy a city to ‘liberate’ it. In a series of recent posts and articles, John Amble and John Spencer from the Modern War Institute at West Point have argued that the U.S. military (and, arguably, this may apply to many other armies in the world) is not properly trained and equipped to operate in mega-cities in view of the formidable tactical and strategic challenges posed by such environment. They have a point and the need to comply with international obligations to minimize civilian casualties is as yet another powerful argument for a shift in the way armies prepare for urban combat. As armies are watching the current conflicts and draw lessons for the next wars, we argue that IHL needs to be factored-in, both in terms of weapons and tactics, not only because it is legal but also as it provides a useful guidance on how to adapt to the new environment of the battlefield. How to wage war in cities in accordance with the law? Whether in Yemen, Iraq or Syria, the ICRC is witnessing the effects of war in cities in many of its operations today. The ICRC does not stop at mitigating the impact of violence on urban populations. We focus equally on how wars in cities are conducted and the legal limits that must be placed on armed actors. IHL regulates means and methods of warfare and the protection of people in the hands of the enemy in all battles spaces: land, naval, air, cyber or outer space. Of course, there are specific features in cities. Perhaps nowhere is the inherent tension in humanitarian law between military imperatives and demands of humanity more apparent than in a city, as it is there where military objectives, the civilian population and infrastructure are most closely entwined. 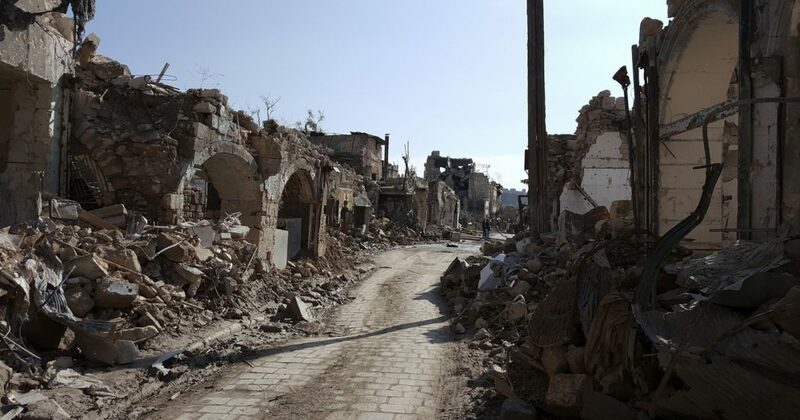 Prohibited acts aside, fighting in a densely populated area poses a number of difficulties for the mere application of humanitarian law by responsible actors, and particularly of rules governing the methods and means of warfare. Specifically, what do the three cardinal principles of precautions, distinction and proportionality require armed actors to do concretely? These rules apply to both the means and methods of warfare. In terms of means first, all too often even the most modern militaries don’t have the range of weapons that would allow to minimize destructions and civilian casualties. They have few options between dropping leaflets and bombs. However in recent years, we have seen the development of more accurate weapons. Armies should make full use of these technologies which allow more intelligence gathering (through the use of drones for instance), more accuracy and discrimination. In terms of methods of warfare, many practical measures can be taken. Some armies have accumulated experience on how to apply the rules in their military operations and need to share their best practices. For instance, in the Review, Sahr Muhammeddally describes how African Union Mission in Somalia (AMISOM) and International Security Assistance Force (ISAF) have put up policies to minimize civilian casualties and prioritize civilian protection. Many simple tactics can make difference: attacking at night when civilians are not in the streets, issuing warnings before an attack, working with engineers and city planners to locate key civilian infrastructures such as power and water grid, creating ‘no-strike’ lists of protected objects and other key civilian infrastructure, etc. In the planning of an attack, armed actors need to anticipate the potential damage to civilians and civilian infrastructures so that they are not excessive in view of the military advantage they can anticipate. This proportionality test can now be made with the benefits of long experience of urban warfare. Nohle and Robinson have argued (see here and here) that in this calculation, armed actors need to take into account not only the direct, immediate impact of the attack, but also foreseeable reverberating effects on the civilian population (such as the longer term impact that the destruction of a water treatment plant could have on public health, etc.). Some armed forces may try to avoid street fighting altogether which causes devastation and is very costly in terms of both military losses and media and political fallout. Finally, it’s important to recall that the responsibilities are shared among the attackers, the defenders and their allies. The defenders could make a big difference, in particular by avoiding conducting operations close to the civilian population or hiding among them. The rules are not only applicable to the fighting parties, but they should also be upheld by their foreign allies. Indeed, States have not only a duty to respect IHL but also to ensure its respect. Whether they support armed groups abroad or foreign States, these contributing States need to use their influence to make their partners respect the law. This week the ICRC is opening a new exhibition on “War in cities” at the Humanitarium in Geneva. To evoke today’s battles, we did not choose to present maps, weapons or bios of leaders, but rather daily objects from destroyed homes in Iraq: A child’s bicycle wheel, a bullet-riddled metal gate, a teddy bear covered with dust and ashes… We chose to show the other face of battle, the face that is absent from official history and left out of the news. Along with these personal stories of devastation, we have a story of encouragement. We are launching a new database—‘IHL in action’—that showcases instances where the law has been upheld. Best practices and practical guidance on how the law can be applied in urban warfare have been collected and will be shared. These cases show that some armed actors and political authorities are trying hard to spare the civilians. They do this not only out of a sense of legal obligation, but also because it is part of their professional ethos. Increasingly, they realize such compliance is a matter of military effectiveness. Recent conflicts have illustrated various dimensions in which minimizing civilian casualties can help in securing the support of the civilian population, gain international political support or ensure discipline and morale among combatants. The ICRC is also engaged in a research project that identifies the costs of violations and the benefits of respect for the law. All of these efforts aim at demonstrating that it is possible to wage war in cities while giving priority to the protection of civilians.